James David Rodríguez Rubio was born on 12 July 1991 in Cúcuta, Colombia, to Wilson James Rodríguez Bedoya and Maria Del Pilar Rubio. 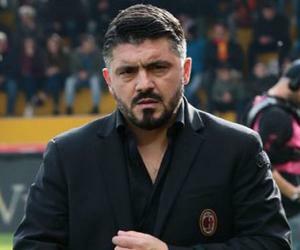 His father was also a football player who had been a part of the 1985 U-20 side and had also played for the Colombian national team. However, injuries and a battle with alcoholism had cut short Wilson’s sporting career. James inherited his father’s passion for football and became interested in the sport at an early age. 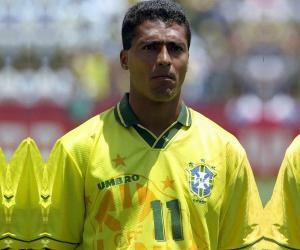 As a kid he used to play Pony Fútbol with Academia Tolimense and became a very skilled player by the time he was in his early teens. He turned professional by joining Colombian second division club Envigado in 2006 when he was in his mid-teens. The following year he achieved a promotion to Colombian first division. He was signed by the Argentine team Banfield in 2008 and made his team debut on February 2009. His first goal was with a long range strike in a 3–1 victory over Rosario Central on 27 February. Just 17, he amazed his coaches and team mates with his skillful performances and became a regular first team player featuring in every game of the Apertura 2009. He also became the youngest foreigner to score a goal in Argentina. He performed wonderfully throughout the year and soon garnered a huge fan following. He became a much sought after player and was signed by Porto, a Portuguese sports club, for €5.1 million in July 2010. He scored his first goal in European football in a 3–1 home victory for Porto against Bulgarian club CSKA Sofia in December 2010. He reached new heights of success in the 2011-12 season and scored 14 goals for Porto and delivered 11 assists. In 2011, he also became the first Colombian player to win the LPFP Award for Breakthrough Player of the year. He became a regular starter in 2012-13 season. In the 2012–13 UEFA Champions League group stage, he played a major role in the 1-0 victory against the French club Paris Saint-Germain. He also assisted with a goal against Estoril in a 2–1 victory. He continued his brilliant performance throughout the season and finished the season with 13 goals and 15 assists in 32 appearances. James Rodriguez joined French side AS Monaco for a transfer fee of €45 million in 2013—it was one of the most expensive transfers in world football. He made his debut for Monaco in a 2-0 victory against Bordeaux. During the season, he also assisted on two goals in a match against Saint-Étienne which Monaco won 2-1. He scored his first goal for the club with a free-kick in a 2–0 win over Rennes. 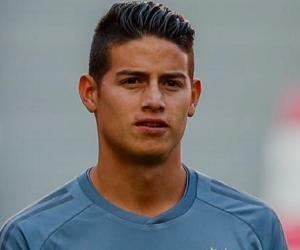 In June 2014, James was named in Colombia's 23-man squad for the 2014 FIFA World Cup. He performed brilliantly in the group stage, especially in the team’s opening match against Greece where he set up the first two goals and scored a last-minute goal. He also featured prominently in the team’s victory over Ivory Coast in their second match of the tournament. He continued his smashing performance in the final group stage match against Japan and assisted two goals and scored one, leading his team to a 4-1 victory. He was ranked the best performing player at the tournament by FIFA at the end of the group stage. His consistent performances in the World Cup matches helped to take Colombia to their first ever World Cup quarter-finals. 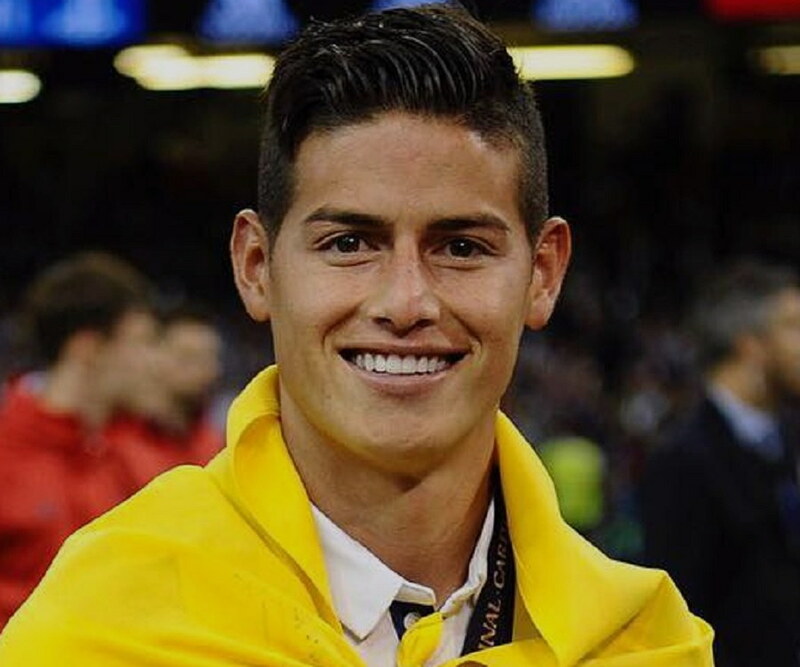 However, Colombia lost the quarter-finals against Brazil by 2-1 despite a superb performance by James. He ended his first World Cup campaign with six goals and two assists in five matches. 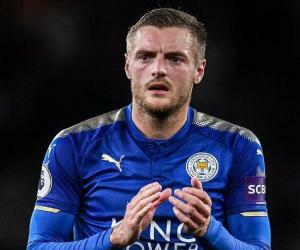 After the World Cup, he signed with the Spanish club Real Madrid for an undisclosed fee, which was reported to be approximately €80 million. He made his debut in the UEFA Super Cup at Cardiff City Stadium against Sevilla, in which Real Madrid won 2–0. He scored his first goal for Real Madrid against Atlético Madrid in August 2014. He was named the LPFP Primeira Liga Breakthrough Player of the Year in 2011–12. In 2012, he won the Portuguese Golden Ball, a prize given out by Portuguese newspaper ‘A Bola’ to the best player in the Portuguese Liga. He was named the AS Monaco Player of the Year (2013–14). In 2014, he was named to the FIFA World Cup All-Star Team and the FIFA World Cup Dream Team. The same year, he also received the FIFA World Cup Golden Boot Award. He married Daniela Ospina in 2011 and has a daughter named Salome. He is a devout Christian. He has a net worth of $30 million.